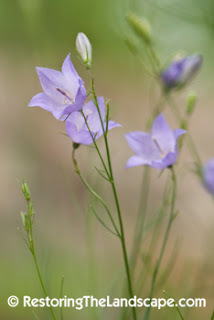 Harebell is a beautiful native perennial, with light blue-purple 5 parted bell-like flowers that open in June. 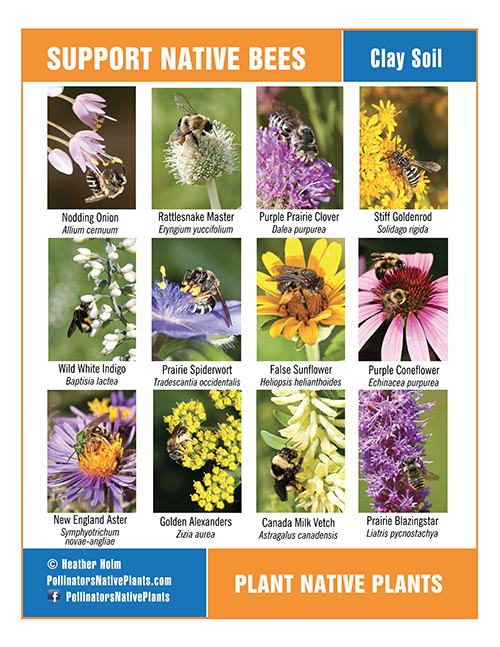 It reaches about 12 inches in height, taller in richer soils. The lower leaves are roundish in shape, but the leaves on the flower stalk are very narrow and linear. We introduced Harebell to our yard after seeing it growing on the rocky shores of Lake Superior in Upper Michigan. It was arising from the rock crevices in shallow soil. 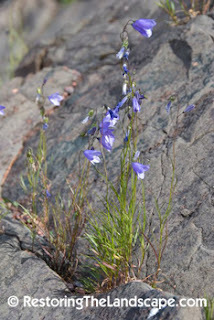 In our yard, Harebell was planted in crevices in the rock retaining wall in full sun and sandy soil. It has done well in this spot. The tiny seed matures in dried capsules and is wind dispersed through the openings in the top of the capsule like a salt shaker. 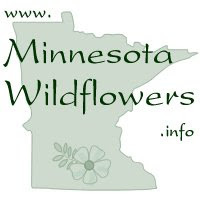 Timing is important if you wish to collect seed from this plant. 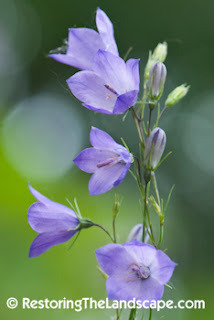 Harebell seed needs light to germinate so broadcast on top of the soil and do not cover. 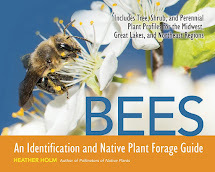 It is native to much of North America except for the southern most States east of Texas.